For all Swiss users who manage the VAT on cash received, this setup is the best to manage the VAT. 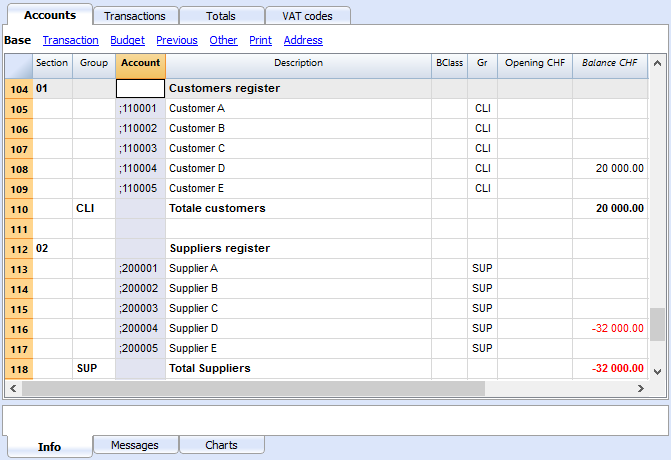 It is possible to manage the customers/suppliers register as cost centres (see also the Cost and Profit Centers page). A detailed explication is available in the Accounting on turnover or collected page. 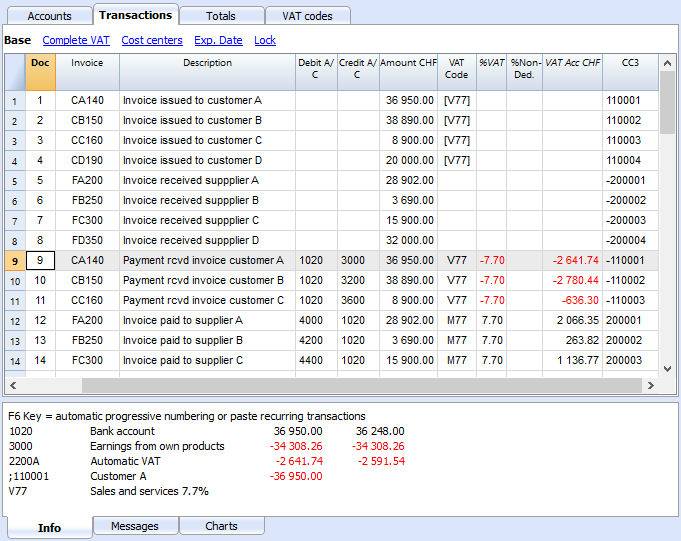 The cost centre balances for customers and suppliers will not appear in the Balance Sheet. More information is available at the page Clients and suppliers with VAT, using the Cash principle.